I’m the Command & Conquer: Rivals Competitive Gaming Commissioner, known in mobile competitive circles as “PlayoffBeard.” Today, EA announced a mobile game as its next official competitive gaming franchise, standing shoulder-to-shoulder alongside FIFA and Madden. That’s pretty damn good company. That game, of course, is Rivals — a game you’ve been helping us improve and refine during these past few months of Early Access ahead of worldwide launch December 4, 2018. This is a huge moment for our emerging Rivals community and a massive step forward for mobile competitive gaming. It means our game will have a full-scale, fully staffed competitive program designed with you in mind. What drew me to this job in the first place was EA’s unique approach to competitive gaming. As commissioner, I’m not just the “esports guy”; I’ve been working non-stop with the Redwood Studios dev team to create the best possible in-game competitive experiences we can for all players — not just the ones at the top. This work includes the new league progression system, the “Rivals Fairplay” competitive integrity features and a host of other areas, but I’m most excited that Rivals Champions will be available right from worldwide launch. Rivals Champions is inclusive. Players at all skill levels can have a great competitive experience. 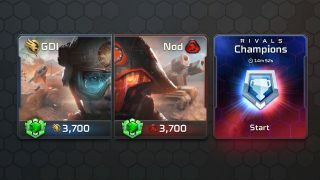 Instead of dropping all players into the same matchmaking pool where Tiberium-ranked players could crush everyone else, each ranked league has its own Champions experience. That means as a Bronze player, you can still have a great, fun, competitive experience and maybe be the best Bronze player out there. Earn rewards immediately. You’ll earn real-time rewards every time you hit a new points threshold rather than having to wait until the very end of the event or end of the month. Try again when you finish your run of battles. Go on another run by spending Credits, the currency you get by playing matches in general. All the rewards will not reset, but you can try for a new personal best. Perfect Rivals Champions together. 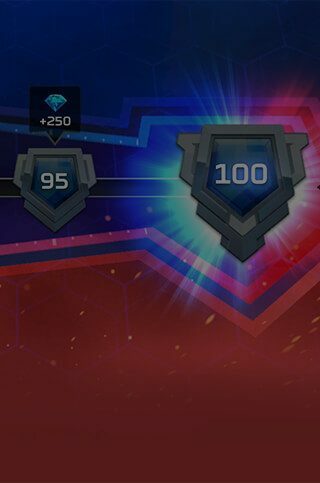 We’re introducing Rivals Champions exclusively as a weekend event, allowing us to make changes to how it works and the rewards structure regularly based on your feedback. We likely didn’t get everything exactly right, and we’ll refine and perfect this together. Please tell us what you think and how we can make it better! Rivals Champions is just the beginning. This game is competitive to its core, and we have a long list of competitive features officially on the product roadmap that we can’t wait to get into your hands. As Competitive Gaming Commissioner, I’d be remiss if I didn’t mention esports, since that’s what people ask about most. Yes. Rivals being named an official EA competitive gaming franchise means we have the resources and intent to roll out a complete competitive ecosystem, including community tournaments and a championship pro scene. We’re incredibly excited about this game’s competitive potential, and with your support, we’re be ready to go big. But as someone who has built an esport from the ground up for mobile before, my commitment to you is we will do this together. Tell me at @playoffbeardEA what would make you excited to play competitively and watch Rivals Champions competition. I will be holding player roundtables on Discord, doing regular dev livestreams, chatting with players on reddit and visiting your Rivals streams. It’s a rare and special opportunity to get to build a new game community and new competitive community from scratch, and our dev team just wants to make something awesome for you that will stand the test of time. We’ll start (and stay focused) on the competitive experiences in the game itself. Still, I can’t wait to go on this journey together with you to build a competitive ecosystem where from the moment you install Rivals, you control your own destiny and know what it will take to go from the bottom of the ladder to hoisting the trophy on a world championship stage. C&C: Rivals launches worldwide on December 4. Pre-register now for a chance to play early and to get a special bonus at launch.